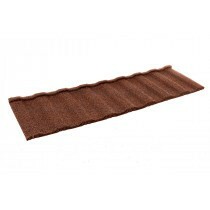 Are you unsure of which log cabin roof coverings and materials are the ideal solution for you? Are you uncertain of which fixings and flashings you'll need with your log cabin roofing materials? Speak to our team online via the live chat in the lower right hand corner or call 01295 565 565. They'll help you pick the perfect covering for your project and will ensure you have all the roofing materials you'll need. Log cabins have the potential to be beautiful, elegant and timeless. Whether it be sat in your garden or on a holiday park, log cabins must be flawless from top to bottom. With a growing range of log cabin roof coverings, you’re certain to find a stunning roof tiles, sheets or shingles for your log cabin at Roofing Megastore. Our range of roof tiles are ideal for log cabins due to their lightweight nature. 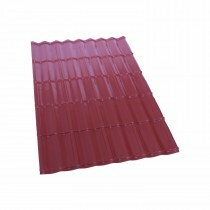 These include roof tiles crafted by Britmet and Lightweight Tiles Ltd, two reputable manufacturers of log cabin roof tiles. The range of colours and finishes offered ensure that you’ll find a tile that accompanies your log cabin perfectly. Our other log cabin roof covering include sheets and shingles. Our range of log cabin roofing sheets are mostly crafted from high quality metal, with some featuring a granulated finish for added aesthetics. We also stock a range of bitumen roofing sheets, which are a popular choice for those in search of a log cabin roofing material. 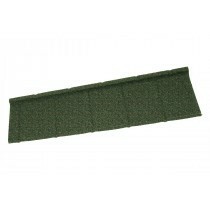 Shingles, on the other hand, provide the same tile effect finish but with a thinner profile. They are also available in a range of colours, including slate grey, red and green. 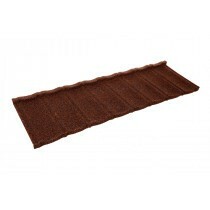 Due to their ease of installation and low cost, these shingles are a popular log cabin roof covering. If you have questions about our range of log cabin roofing materials, simply speak to our team online via the live chat or call us on 01295 565 565. We will help you pick the ideal covering for your project and make huge savings. With quick delivery across the UK, your supplies will be on your doorstep in a matter of days.